Professor Pitman’s centre will shift more of its focus to the study of climate extremes after securing funds from the Australian Research Council last month. “There is some emerging evidence that the system is redefining itself,” Professor Pitman said. Thanks for this, Bob. On to the next one. From my own daily observations, the global system has been ‘redefining’ itself from about 2000, ever more rapidly. What are the latest estimates of climate sensitivity to rising greenhouse gas concentrations in the atmosphere? Is it many more years before the leisurely laggards at the IPCC release their next dumbed-down, soporific, ‘Report’. Mustn’t rush these things, must we. On a related note, and I think it was mentioned in the comments of the previous post, the DMI image of the temperatures at 80N is just nuts. Talk about a system redefining itself. Tried to fix this for you. Doesn’t seem to be cooperating. 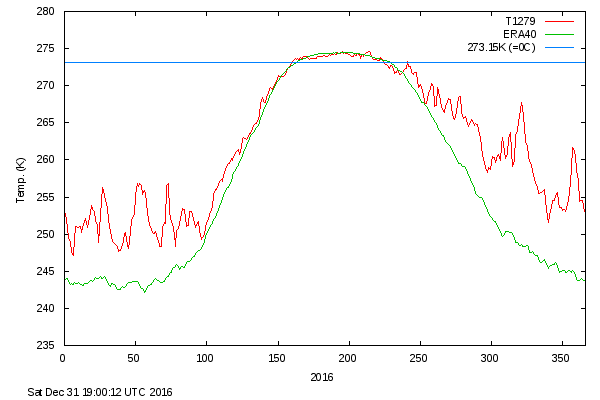 I did, however, post it in the new blog on record low sea ice and Arctic heat. Darn thing has finally taken a wee nosedive this morning. ‘Bout time!! MLK was The giant of America’s 20th century. Most of my great friends are certain that that speech (which MSM trashed) is what got him murdered one year to the day after. The suppression of luminaries is one of the great crimes of history. They should be revered, protected and listened to. If the old testament teaches us anything it is this — a king who kills a prophet to silence him may as well have committed suicide. Thanks for the kind words, Sheri. Glad it was helpful to you. Okay I’m confused, which one do you believe? September 2016 was Earth’s second warmest September since record keeping began in 1880, said NOAA’s National Centers for Environmental Information (NCEI) on Tuesday. In the NOAA database, September 2016 came in 0.89°C (1.66°F) warmer than the 20th-century average for September, and just 0.04°C shy of the record set in September 2015. NASA reported the warmest September in its database, with September 2016 a mere 0.01°C above the previous record, set in September 2014. September 2016 was the warmest September in 136 years of modern record-keeping, according to a monthly analysis of global temperatures by scientists at NASA’s Goddard Institute for Space Studies (GISS) in New York. September 2016’s temperature was a razor-thin 0.004 degrees Celsius warmer than the previous warmest September in 2014. The margin is so narrow those two months are in a statistical tie. Last month was 0.91 degrees Celsius warmer than the mean September temperature from 1951-1980. Shawn. Whether NOAA, NASA, JMA or the UK, I believe them all. If you overlay all the temperature data there is really little difference. Slightly different parameters. For instance NASA includes the high latitudes and NOAA doesn’t. NASA dropped down record June to below record due to late data from Antarctica. Thanks Kevin, I realize the differences are not enough to have any real meaning in the greater scheme of things. Just a bit surprised to see the contradiction. I view this as mostly a PR problem for those of us that are well aware of our situation and those that are looking for denial fuel. Knowing why they are slightly different helps in local conversations when the unbelievers/uninformed start spouting more gibberish.